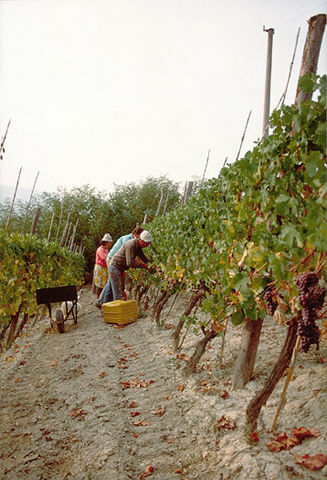 hand-picking, with grading and drastic cleaning performed in the vineyard, removing any imperfect grapes berry-by-berry. manuring of the vines only when needed, and giving priority to the use of natural organic manure, such as humus and dung sourced from reliable farms whose methods I am sure of. The actual annual production of grapes on my farm amounts – depending on the vintage – to 5-6 tons/Ha, corresponding to 35/42 hectolitres/hectare on drawing off, and 1200-1500 grams per vine planted with a density of 4000 vines/hectare, compared with the 8 tons/Ha allowed by the Docg regulations regulating the production of Barolo. 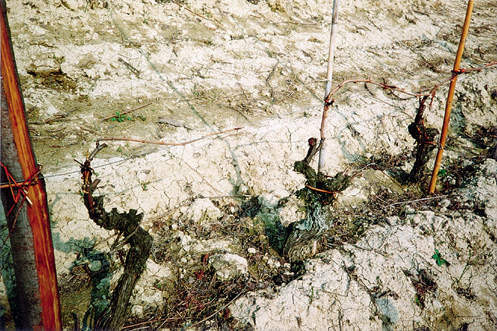 In order to improve the quality of the Nebbiolo grapes allocated to the production of a special Riserva, for several years I had had an ambitious project in mind: the selection of a Michét clone planted by my grandfather Maurizio in the same MONPRIVATO vineyard in 1921, selected by my father Giuseppe in 1959 and re-planted in 1963. I began this process of selection in 1983. 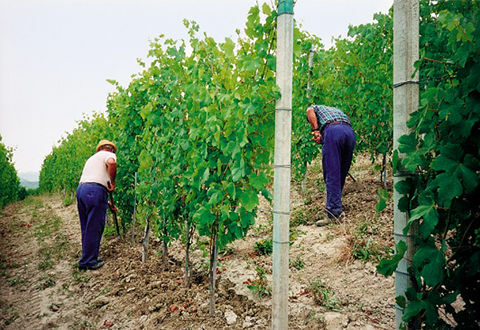 In 1985, Barolo MONPRIVATO achieved a prestigious international success. In a tasting held in London by Forum Vinorum, a free association of tasters, experts and Masters of Wine, the results of which were published in Clive Coates M.W.’s magazine, “The Vine”, the 1978 Barolo MONPRIVATO emerged as the best wine in the tasting, the only one to be awarded a full score of 20/20 ahead not only of 27 Italian Doc and DocG reds from various regions, including some Barolos, but also as many as 56 Châteaux, Grand Cru, 1er Cru Classé, 1er Grand Cru Classé and 2ème Cru, including such celebrated names as Château Petrus, Château Margaux, Château Latour, Château Lafite, Château Mouton Rothschild, and Château Haut-Brion. In the years 1982, 1985, 1987 and 1990, a series of purchases completed the ownership of the MONPRIVATO vineyard, and I became the only producer of this Barolo cru. In 1986 I had practical confirmation of the marine origins of these hills when, during digging for the movement of the soil on site “1 N”, blocks of sandy tufa and stones bearing algae and seashell fossil prints emerged at a depth of four metres. 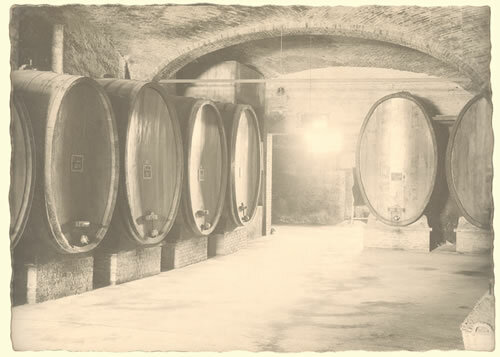 So as to improve the quality of my wines still further, in 1994 a project was begun with the technical contribution of the wine-maker Donato Lanati to study and then develop a fermenter – specifically for the Nebbiolo grapes used to make Barolo wine – that would be able to achieve maximum extraction with the utmost softness. This consultancy has led to the building of a prototype fermenter – a completely new machine in terms of both construction technique and results – which faithfully reproduces and automatically controls the lengthy traditional fermentation. This prototype has obtained an “Industrial Invention Patent” from the Italian Ministry of Industry, Trade and Agriculture, and the four models that have been built are producing excellent results.